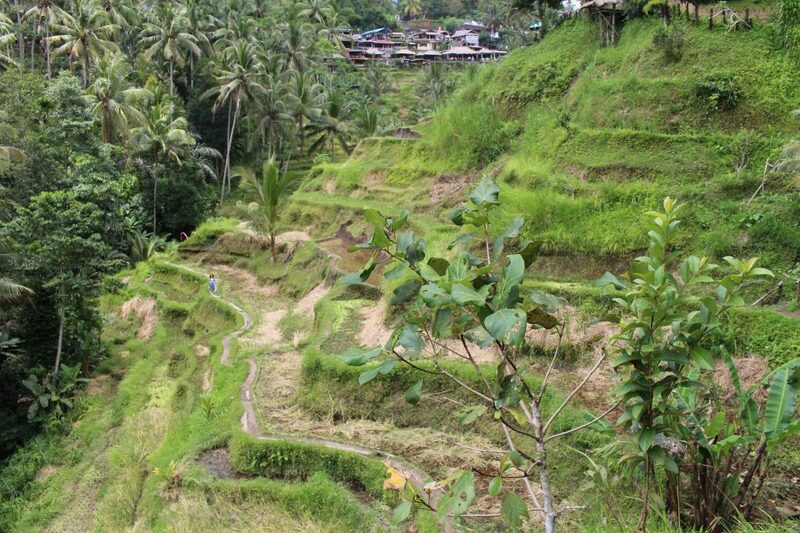 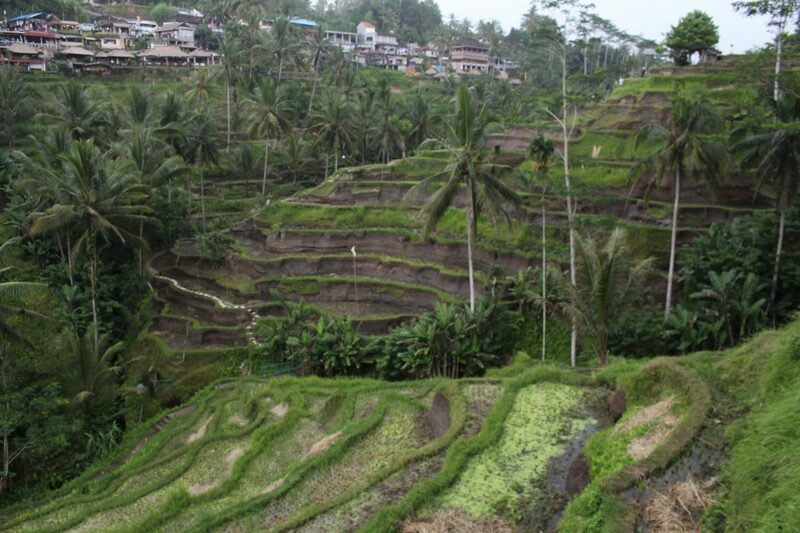 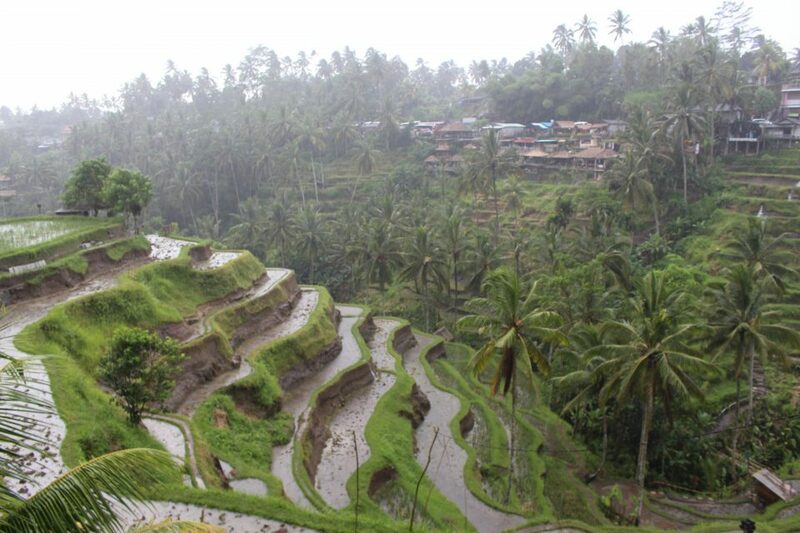 No trip to Ubud is complete without visiting one of its hallmarks: the Tegalalang Rice Terrace. 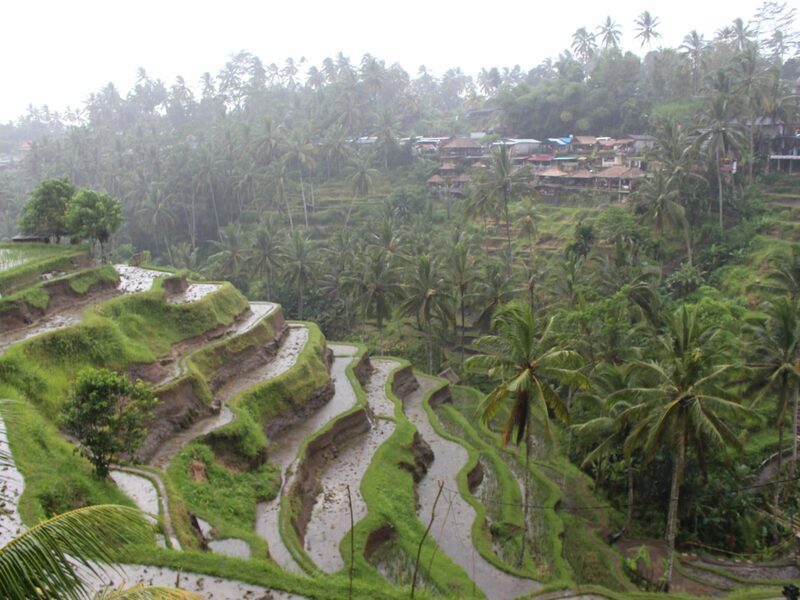 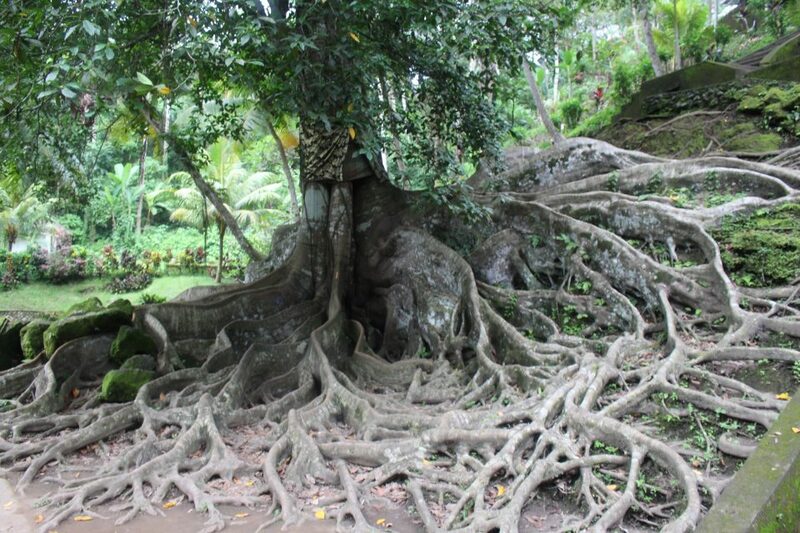 Escaping a bit of rain, we made our way through the winding narrow paths. 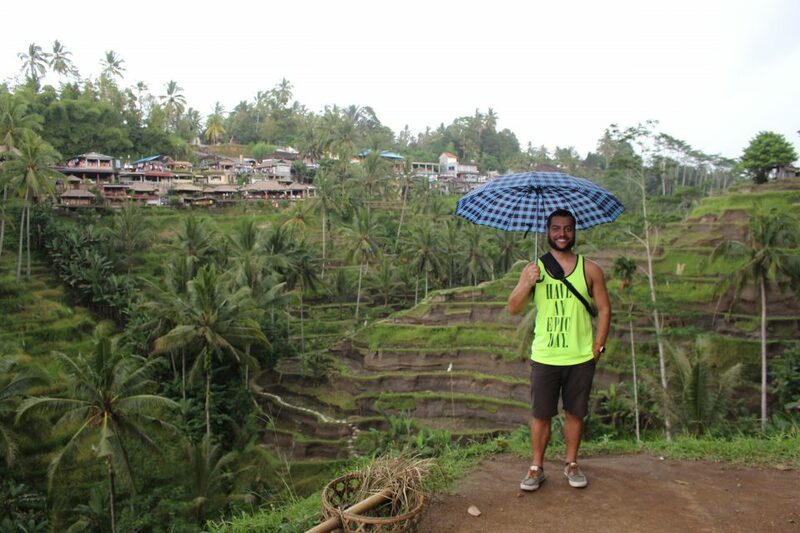 As is typical, a quick monsoon blew past. 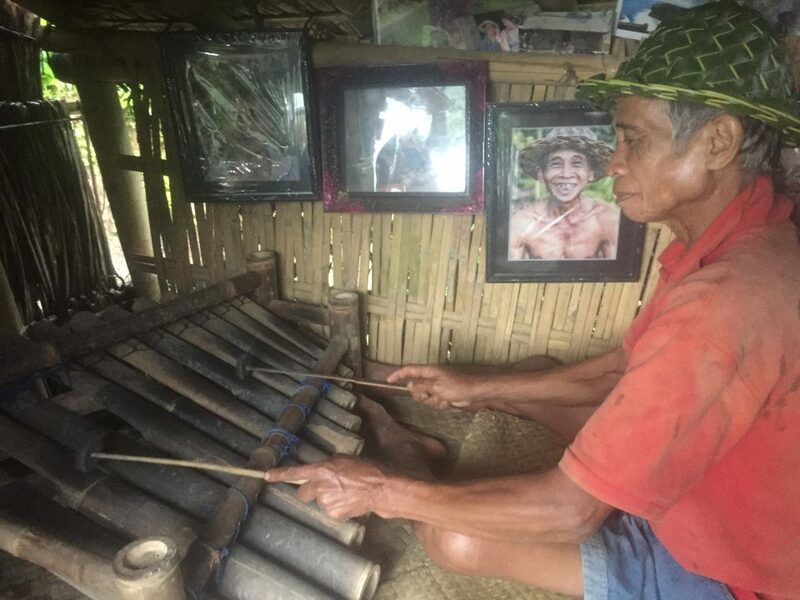 This is Wayan, local farmer (and Balinese musician 😀). 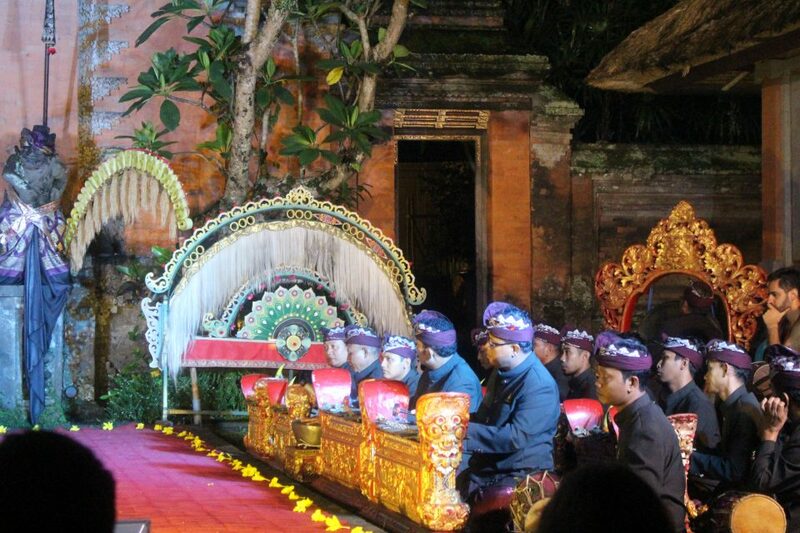 In the evening, we visited Elephant Cave, built in the 9th century. 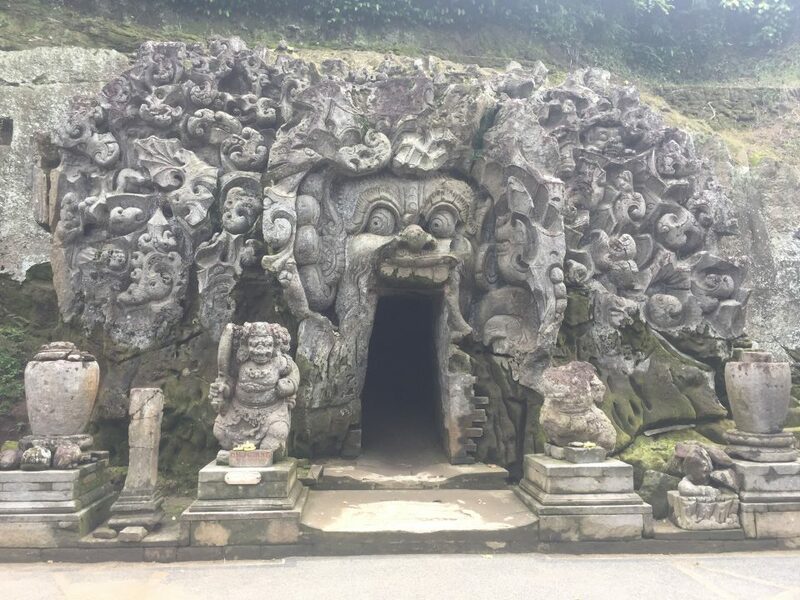 Below is the entrance to the extremely dark and damp cave. 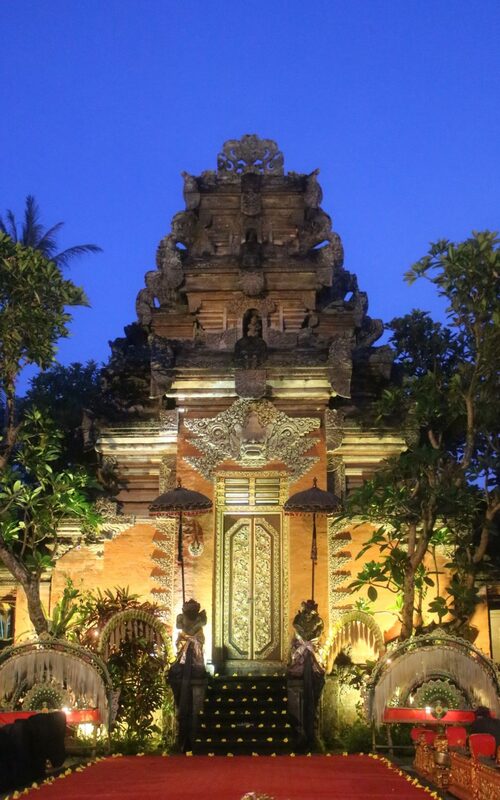 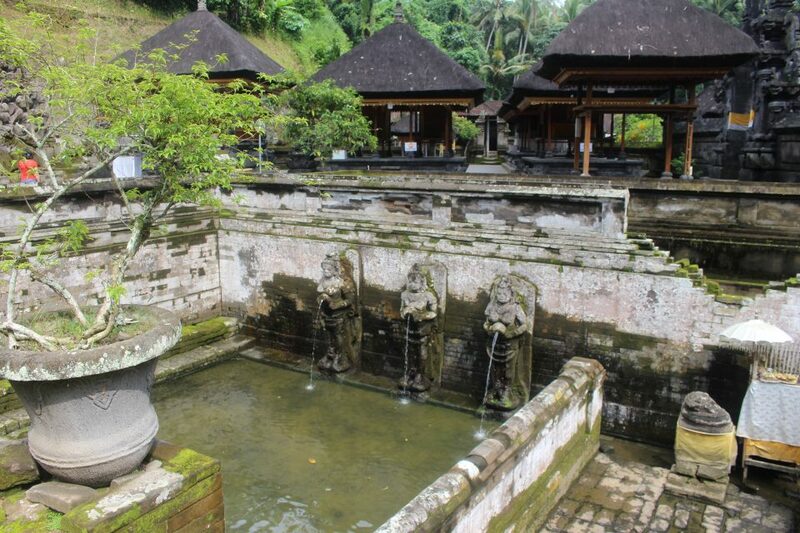 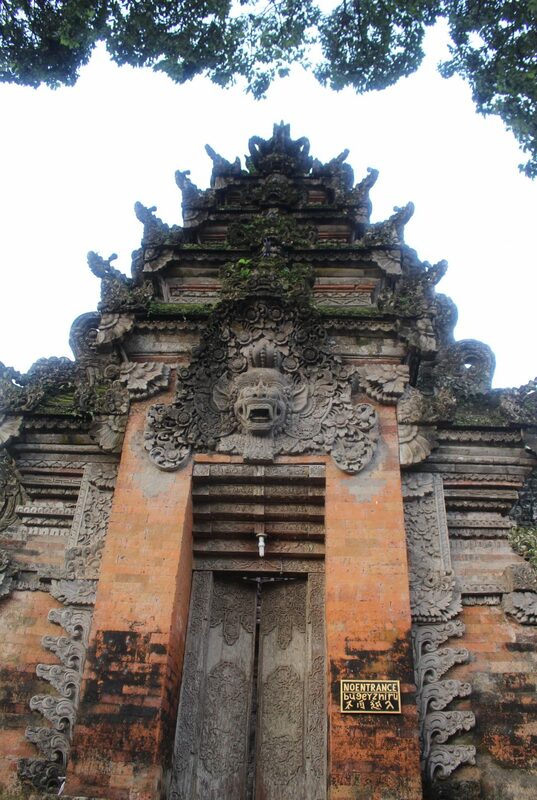 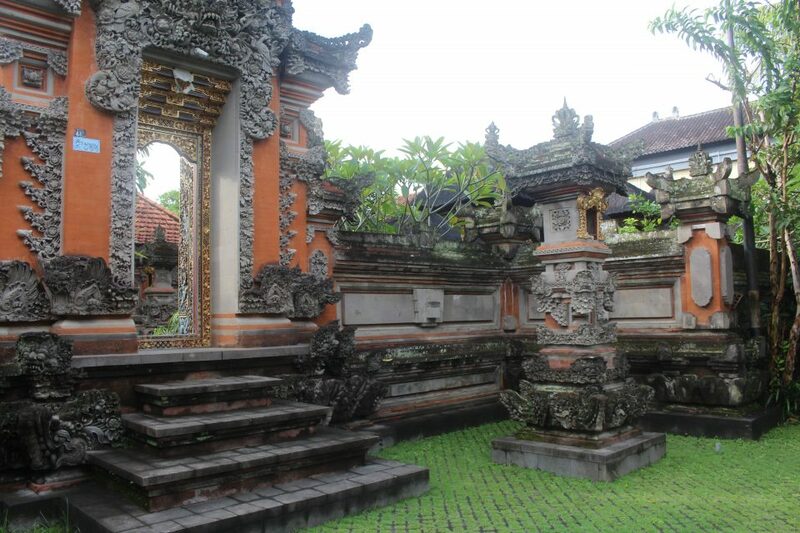 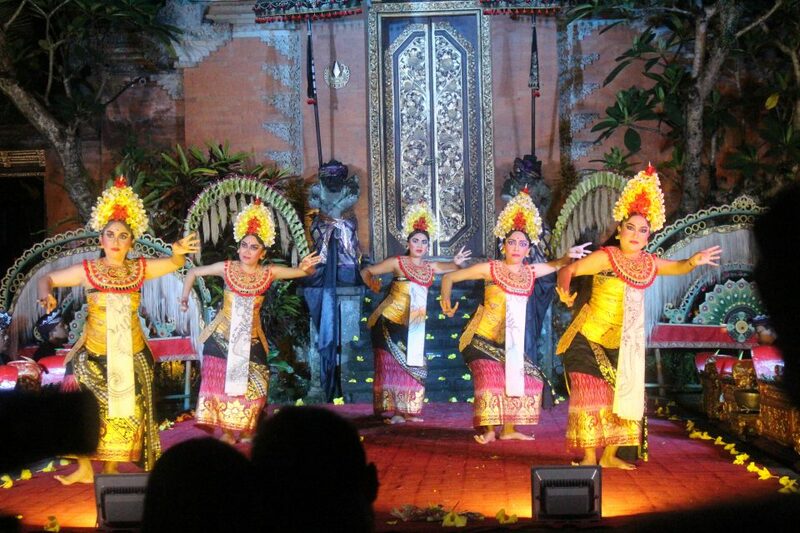 Later, we visited the Ubud Palace for traditional Balinese dance performances. 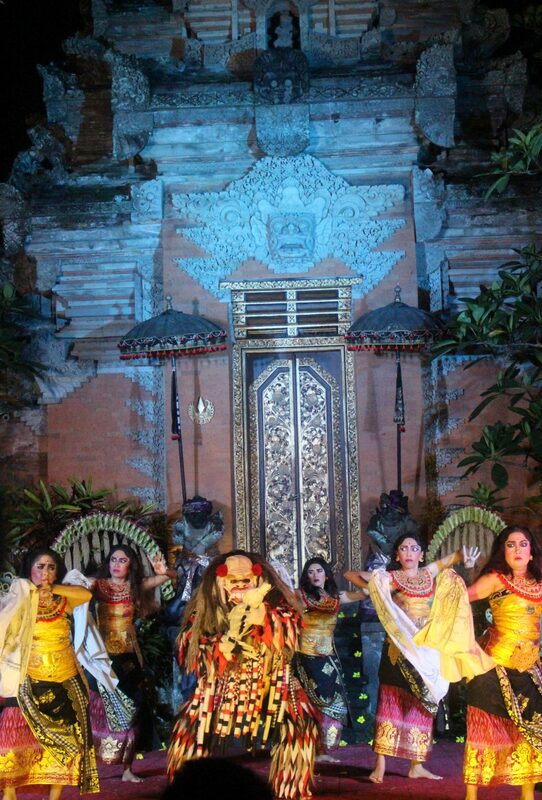 The quirky rhythms and dancing of the Balinese people are truly mesmerizing. 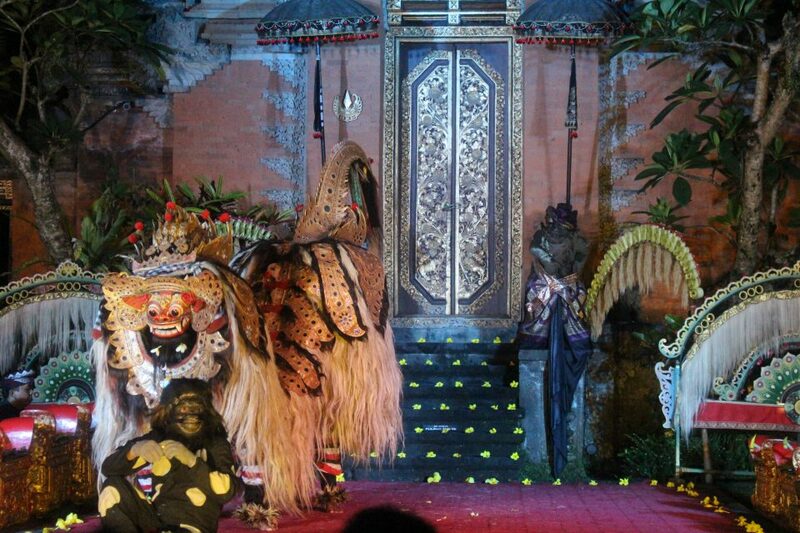 The bizarre costumes enhanced the experience even more!